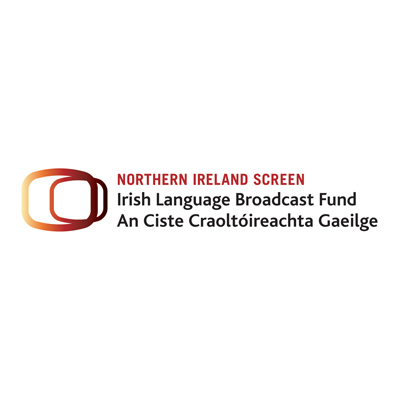 Northern Ireland Screen’s Irish Language Broadcast Fund (ILBF) is delighted to announce its latest funding decisions for 2018. Funding was awarded across a wide genre of TV and online content with a total of 15 projects receiving funding. The aim of the ILBF is to promote the production and broadcast of quality Irish language content for an audience in Northern Ireland and beyond and to help grow the Irish language production sector in Northern Ireland. Below The Radar and Sonas Productions have been awarded funding for The Sam Henry Collection which will air on TG4 and BBC NI. This is the first TV production that will receive co-funding from Northern Ireland Screen’s Irish Language Broadcast Fund and the Ulster Scots Broadcast Fund and brings to life the story of Sam Henry, one of the most important folklorists in Ulster in the twentieth century. This year also sees two ILBF funded series mark an important milestone. Below the Radar’s lively magazine show for BBC NI I Lár an Aonaigh returns for its seventh series as does Meon Eile, Below The Radar’s online platform. A number of live programmes have also received funding. Red Shoe Multimedia will produce live coverage of TG4’s Irish traditional music awards programme, Gradam Ceoil which came to the Waterfront for the first time in February 2018. The Irish Language event An Cabaret Craiceáilte has become famous for its Irish Language music and is celebrating its 25th anniversary this year. Sonas Productions has been awarded funding to record a live anniversary performance on TG4. Imagine Media has been awarded funding for Ceol Chogadh na Saoirse, a music series that will be broadcast on TG4 that takes the audience through a musical journey of the War of Independence. Dearcán Media has received funding to produce a documentary on the relatively untold story of the life and work of Michael Davitt. Davitt’s story will combine up to date research with detailed reconstruction and imaginative graphic design. Macha Media’s Máthair is a documentary series that will broadcast on TG4 and investigates four remarkable women from four historical eras who changed society, politics and literature through their children. Thousands of people from Ireland and from further afield descend on Lough Derg every year, each with their own reason for undertaking the pilgrimage. DoubleBand Films’ Peireadh explores Lough Derg and the pilgrims who undertake the journey and will broadcast on BBC and RTÉ. DoubleBand Films’ has also been awarded funding to produce Mianach na mBan on BBC which looks at the role of women in sport – from Gaelic games to boxing, rowing and many more. Paper Owl Films’ observational documentary sees Belfast boxing duo Paddy Barnes and Mickey Conlan embark on an adventure around the world to find that one thing they long for more than anything, the ability to speak Irish. Paper Owl Films has also been awarded funding Clann Clainne an online platform that aims to bring older and younger generation together through modern technology. For further details and guidelines please visit the ILBF funding page. Is mian leis an Chiste Craoltóireachta Gaeilge (CCG), Scáileán Thuaisceart Éireann a chinntí maoinithe is déanaí do 2018 a fhógairt. Bronnadh maoiniú ar 15 thionscadal ar fad ina bhfuil éagsúlacht bhreá seánraí teilifíse agus ábhar ar líne. Is é a chuireann an CCG roimhe, maoiniú a chur ar fáil le hábhar Gaeilge ar ardchaighdeán a léiriú agus a chraoladh do lucht féachana i dTuaisceart na hÉireann agus níos faide i gcéin agus lena chinntiú go gcuirfear fás faoin earnáil léiriúcháin Ghaeilge i dTuaisceart na hÉireann. Bronnadh maoiniú ar Below The Radar agus Sonas Productions do The Sam Henry Collection, clár a chraolfar ar TG4 agus BBC TÉ. Is é seo an chéad léiriúchán teilifíse a fuair cómhaoiniú ó Chiste Craoltóireachta Gaeilge agus ó Chiste Craoltóireachta Ultaise Scáileán Thuaisceart Éireann. Is ann a inseofar scéal Sam Henry, duine de na béaloideasóirí ba thábhachtaí i gCúige Uladh san fhichiú céad. Is bliain mhór é ag dhá shraith atá á maoiniú ag an CCG. Fillfidh an t-irischlár bríomhar de chuid Below the Radar do BBC TÉ, I Lár an Aonaigh don seachtú sraith agus tá an t-ardán ar líne Meon Eile, de chuid Below The Radar ar ais don seachtú huair chomh maith. Tá maoiniú faighte ag roinnt clár beo freisin. Léireoidh Red Shoe Multimedia craoladh beo ar chlár TG4 do ghradaim cheol na hÉireann, mar atá, Gradam Ceoil. Bhí Gradam Ceoil ar siúl sa Waterfront den chéad uair riamh i mí Feabhra 2018. Tá clú agus cáil ar an ócáid Ghaeilge An Cabaret Craiceáilte as an cheol Gaeilge a bhíonn ann. Tá sé 25 bhliain ar an fhód i mbliana agus tá maoiniú faighte ag Sonas Productions chun taifeadadh beo a dhéanamh den ócáid cheiliúrtha a chraolfar ar TG4. Bronnadh maoiniú ar Imagine Media as an tsraith Ceol Chogadh na Saoirse a léiriú do TG4, sraith a thabharfaidh an lucht féachana ar thuras ceoil fad thréimhse Chogadh na Saoirse. Tá maoiniú faighte ag Dearcán Media chun clár faisnéise a léiriú ar shaol agus ar shaothar Mhicheáil Daibhéid, scéal nár insíodh mórán go dtí seo. Tabharfar isteach an taighde is úire mar aon le hathchruthuithe mionsonraithe agus dearaí grafacha cruthaitheacha. Is sraith faisnéise de chuid Macha Media é Máthair a chraolfar ar TG4, sraith a dhéanfaidh scrúdú ar cheathrar ban suntasacha as ceithre thréimhse stairiúla. Is mná iad seo a d’athraigh an tsochaí, an pholaitíocht agus an litríocht lena bpáistí. Déanann na mílte duine as Éirinn agus thar lear ar Loch Dearg gach bliain agus a chúis féin ag gach duine acu tabhairt faoin oilithreacht. Déanann Peireadh de chuid DoubleBand Films scrúdú ar Loch Dearg agus ar na hoilithrigh siúd a thugann faoin turas. Craolfar an clár ar BBC agus RTÉ. Bronnadh maoiniú ar DoubleBand Films’ chomh maith chun Mianach na mBan a léiriú ar an BBC, sraith a chaithfidh súil ar ról na mban sa spórt – ó chluichí Gaelacha go dornálaíocht, rámhaíocht agus go leor eile nach iad. Leanfaidh sraith bhreathnaitheach Paper Owl Films an bheirt dornálaithe Paddy Barnes agus Mickey Conlan agus iad ar thuras timpeall an domhain chun teacht ar mhian mór a gcroí, mar atá, a bheith ábalta Gaeilge a labhairt. Bronnadh maoiniú ar Paper Owl Films chomh maith chun Clann Clainne a léiriú. Is ardán ar líne é a bhfuil sé mar sprioc aige óg agus aosta a thabhairt le chéile trí theicneolaíocht an lae inniu. Le haghaidh tuilleadh eolais agus na dtreoirlínte téigh chuig leathanach maoinithe an Chiste Craoltóireachta Gaeilge, Scáileán Thuaisceart Éireann.